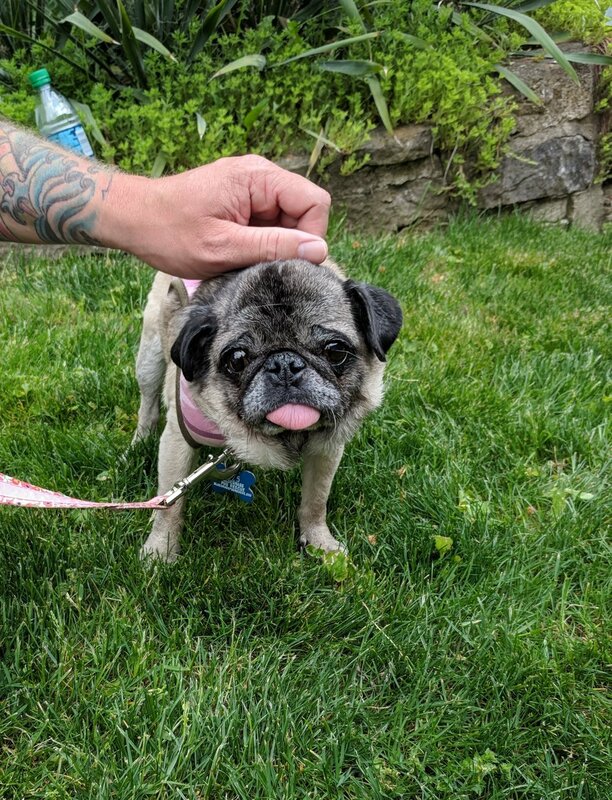 Bluegrass Pug Rescue's mission is to rescue abused, abandoned, homeless unwanted, sick or injured Pugs, rehabilitate them and place them into loving, permanent adoptive homes in Kentucky and surrounding areas. We strive to educate the public about the Pug dog breed including its personality, special needs, and care. We provide needed medical care and spay or neuter operations for all of the Pugs that come into our rescue. Unless credited otherwise, all photos property of Bluegrass Pug Rescue. The Curly Tail Coffee fundraiser went so well that we are extending it! So if you are loving the coffee, you can continue to order here! Here's your chance to support Bluegrass Pug Rescue AND drink your coffee TOO!!!! $2 from each bag will be donated to BPR! Curly Tail Coffee is a small batch coffee roaster located in Lower Burrell, PA. Each 12oz bag of coffee is roasted on a made-to-order basis so that ultimate freshness is guaranteed. come see us AND OUR ADOPTABLE PUGS the first Saturday of every month! Please join us in our raffle for our second beautiful pug quilt! The quilt measures 72”x46”. Tickets can be purchased through April 1, 2019. We will draw the winner on April 6, 2019. You do NOT have to be present to win! Purchase your raffle tickets online (or at any of our meet and greets.) Tickets are ONE for $1.00, SIX for $5.00 and TWENTY FIVE for $20.00. If you use PayPal, use bprtreasurer@gmail.com and choose Friends and Family. (so the Pugs don’t have to pay a fee!) In the notes, please include how many raffle tickets you want and your phone number/e-mail so we can contact you if you win! *Please make sure you include your e-mail or phone number! GOOD LUCK!! !